It’s a story we probably all know well or have even experienced ourselves: a friend, loved one, colleague or acquaintance begins a battle with cancer. The journey and outcome are different and unique to everyone involved, but it’s always a journey filled with sadness and fear, sometimes happiness, relief and victory. And in the end, everyone it touches is affected in some way for the rest of their lives. I’ve had many friends and family members battle all forms of cancer throughout my life. Most recently, it was my sister. And though she’s one of the lucky ones—a healthy survivor—the effects of and experience with this devastating disease will live with our family forever. During and following a journey with cancer, a focus on wellness is crucial to keeping your body and mind as strong as possible. And because wellness is at the core of everything we do at Mala and Mantra, I knew I wanted to design a new collection that both instilled a sense of wellness in cancer patients and survivors, as well as help anyone who wears it feel restored, renewed, and revived. That’s where the idea for our latest Crafted for a Cause collection—the Be Well Collection—came from. I began Crafted for a Cause several years ago as a way to raise funds for nonprofit organizations and causes that resonate with myself, my brand and our customers. This year, we teamed up with Wellness for Cancer, a nonprofit organization dedicated to helping cancer patients and survivors improve their quality of life, reduce side effects from cancer therapy and increase mental well-being following a journey with cancer. At the heart of the organization is a hands-on training program that teaches spa and alternative medicine professionals how to provide a greater sense of wellness for those touched by cancer. Our Be Well collection was co-designed by Wellness for Cancer founder Julie Bach. 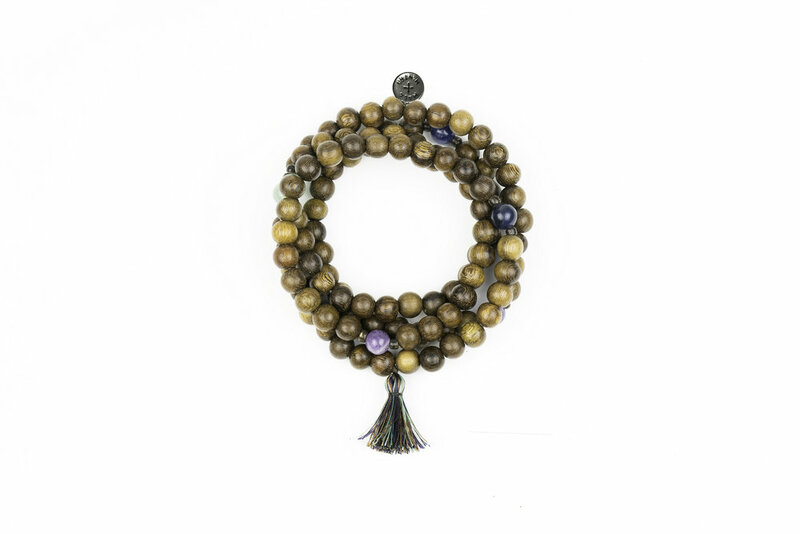 It features four pieces—two bracelets and two stretch wrap malas—that impart a message of wellness and mindfulness, as well as the following mantra: “Be centered. Be inspired. 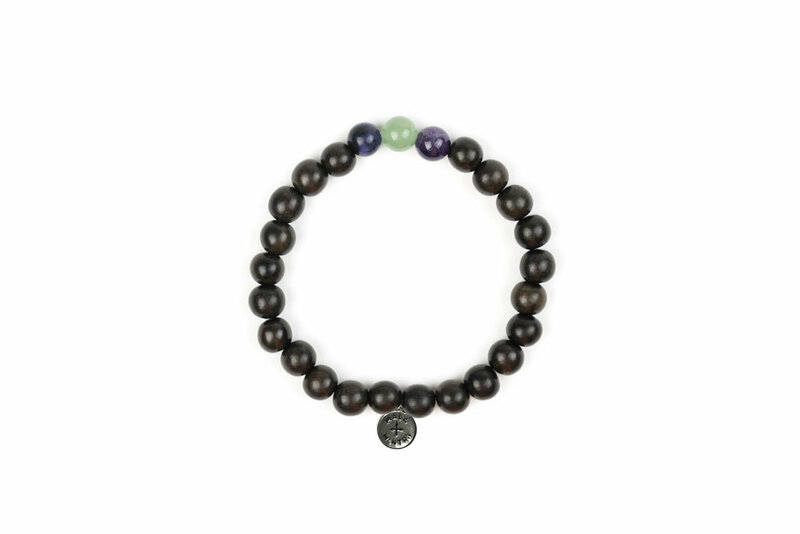 Be compassion.” Each piece features either robles wood or blackwood, as well as all-natural, semi-precious amethyst, green aventurine and sodalite gemstone beads to promote serenity, balance + intuition. Best of all: For every piece of the Be Well collection sold, Mala and Mantra will donate $5 to Wellness for Cancer. We’re also donating $1 to the foundation for every new email subscriber we received thru April 30. My hope is that the collection and donations help cancer patients and survivors receive well BE-ing treatments, and embrace a greater sense of wellness both during and following their journeys with cancer. You can shop the collection here and sign up for emails on our Subscribe page. We also ask that you show your support in becoming cancer aware by sharing your photos of the Be Well collection and tagging @malaandmantra with #bewell. Wishing wellness, hope + peace to both cancer patients and survivors, and the ones who love and support them.